The free Logic Simulator software simulates both combinational and sequential digital logic circuits. Logic circuits can be very simple, such as and-or logic, or can consist of hundreds of parts. 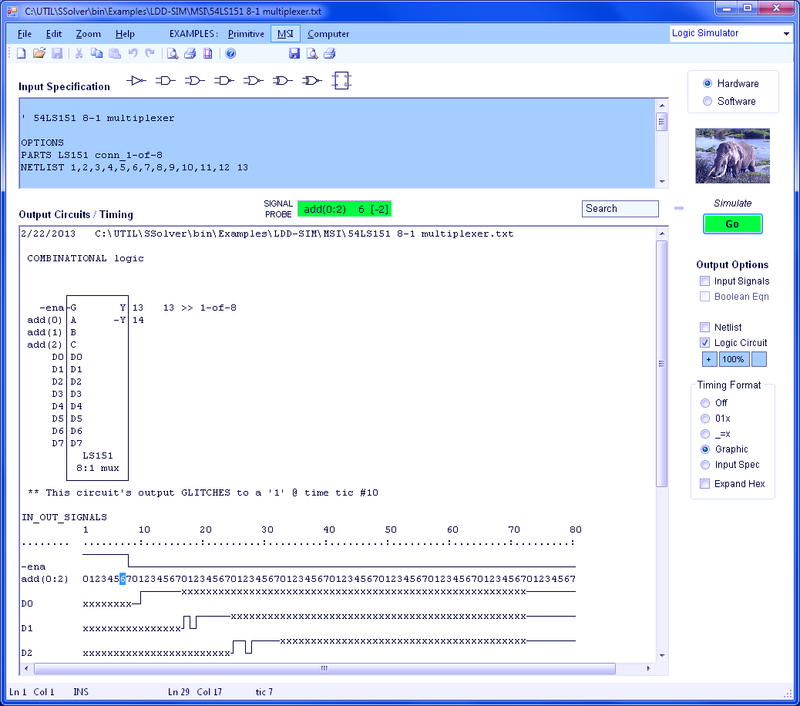 Both basic parts, such as logic gates and flip-flops, and MSI (Medium Scale Integration) functions are supported. See Logic Simulator Help for detailed documentation. The Input Window describes the circuit to be simulated and its input/output signals. Data can be edited, cut and pasted, or loaded from a file. 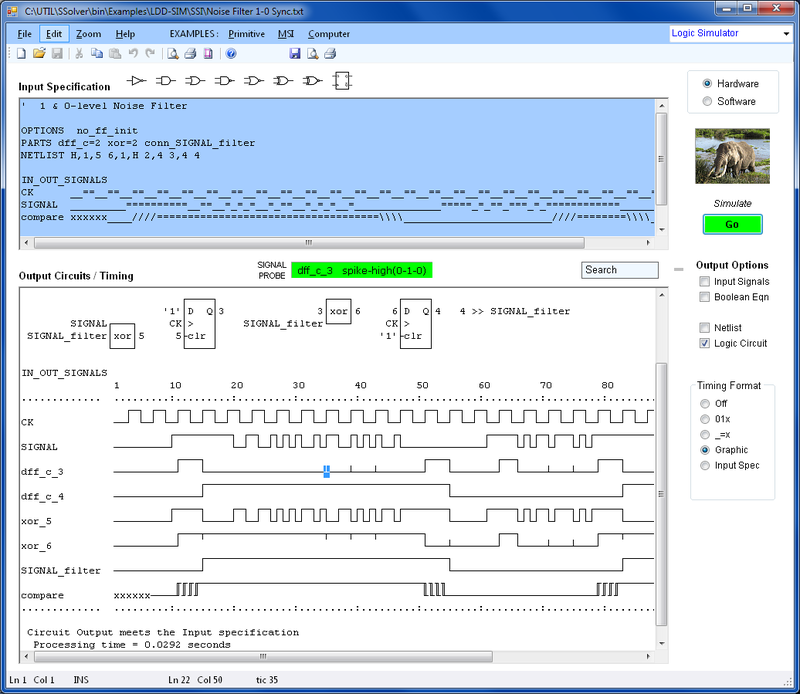 Most input/output features of the Logic Simulator are identical to Logic Design Auto. 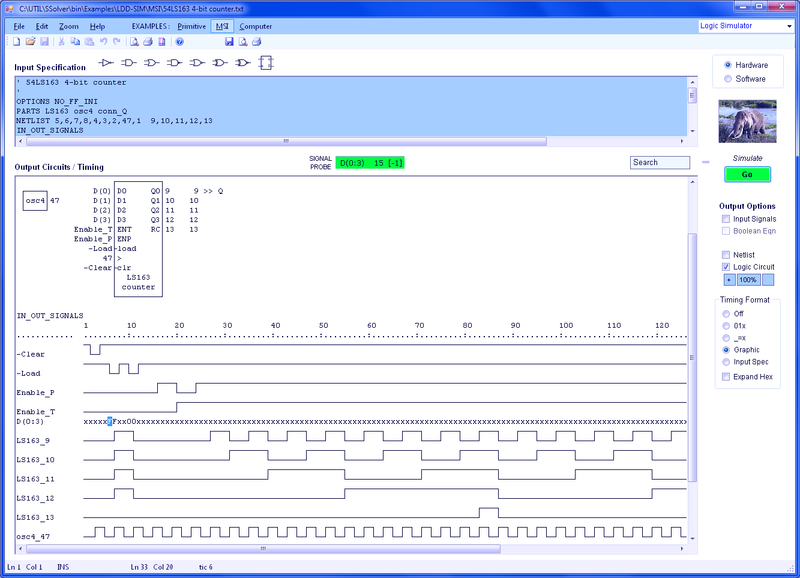 In addition to the logic gates and flip-flops available in Logic Design Auto, the Logic Simulator supports a number of 54/74LS series MSI functions. Additional MSI parts can be user-defined using the LDD Macro Block mode.